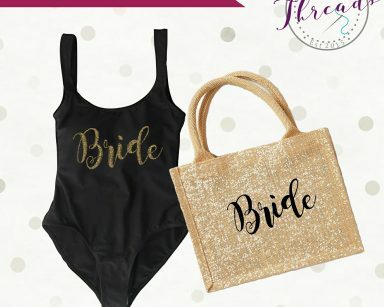 Our Bride Bikini & swimsuit range is a popular choice for holiday destination weddings. 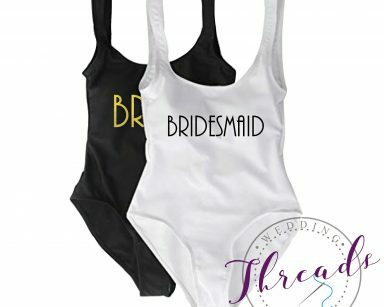 Completely personalised these Bridal Bikinis make great Bride gifts and look great on your honeymoon photos. 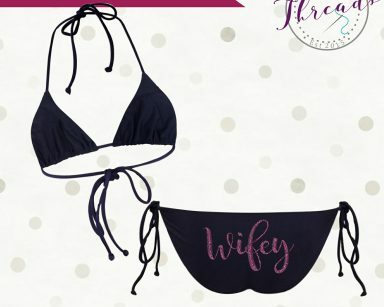 Just married bikini tops with bottoms, also hen party bikinis and wedding Swimsuits for the Bride to Be. These customised swimsuits are definitely a must have this season! So Lounge around the pool and beach with your Hen party and customise with your chosen text. With a drop back, there is still a little space… why not ask to add a little print on the bottom for the bride Mrs… Just married… Or the Wedding Date. The choice is yours. 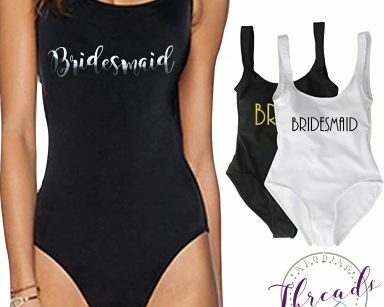 Moreover, The Bride Swimsuit comes in white or black each with removable padded cups. 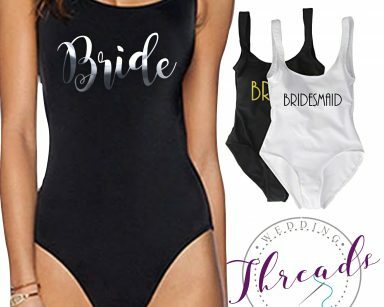 Personalise your swimsuit with a range of printing options all available to choose on each order form. Furthermore, you can team up your Bride bikini with a Kaftan or Beach Bag.